Obituary for Patricia Ann McSally | Donaldson Funeral Home of Clarksville, P.A. Patricia McSally, 54, of Norwalk passed away on June 26, 2018, after a brief illness. She was surrounded by her family. Patty was born on March 18, 1964, in Norwalk. She was the daughter of the late Edward Jr. and Dorothy McSally. Patty is survived by her three siblings: Jane McSally of Milford, CT, Janet McSally of Bradenton, FL, and Michael McSally of Fulton, MD. She is also survived by her four nieces and nephew: Kellie, Madelin, Katelin, Abigail, and Jack. Patty was a lifelong resident of Norwalk. 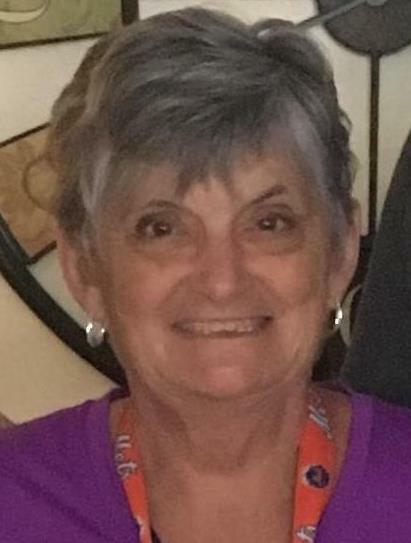 She enjoyed her longtime friendships made from Brookside Elementary through Brien McMahon High School as well as her 27 years at Purdue Pharma. Friends will have no shortage of Patty Mac stories and memories. She will be missed by all. In her spare time, Patty enjoyed golf, walking, watching sports, and socializing. A die-hard New York Giants and New York Mets fan, she attended many Giants games, opening days at Shea Stadium and Citi Field and going to the Giants Super Bowl in Arizona in 2007. Her attempt to attend a World Series game was interrupted by the 1989 San Francisco earthquake. Patty was able to attend a Masters Tournament and she was also an avid UConn basketball fan. She was a member of the Shorehaven Golf Club for many years. Patty could always be found at Duchess, Swanky Frank’s, Overtons or Letizia’s, frequently running into someone she knew.